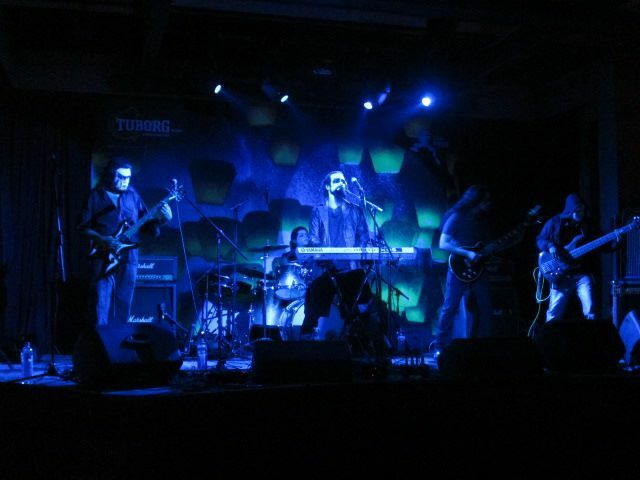 Gig Review: Cosmic Infusion, Stark Denial and Gutslit | Mehta Kya Kehta? 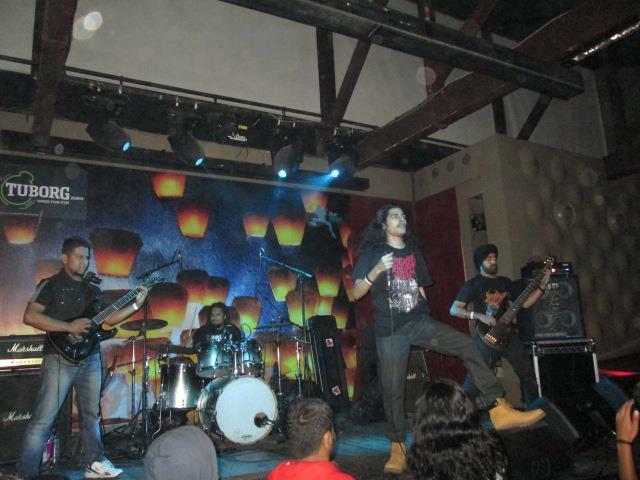 The first extreme metal gig of the year in Bombay was held at Blue Frog in Lower Parel. Blue Frog is one of the many places that have mushroomed over the city in the time I’ve been away and first impressions weren’t bad, if meager portions at exorbitant prices in a nicely done setting are your idea of a good meal. It’s a bit awkward for a metal gig, the cloistered space before the stage not providing much room for hurtling bodies and a beam going right up out of the floor providing uneasy premonitions of split foreheads and broken arms. Luckily, none of that came to pass and Cosmic Infusion, Stark Denial, and Gutslit proceeded to ply their wares. Cosmic Infusion played symphonic black metal influenced by the likes of Dimmu Borgir and numerous other Eastern European style bands that mix in folk melodies with their music. They got a great sound from my vantage point; the keyboards (also the vocalist) sounded lush and drove the music well while everything else was distinctly audible also. It’s not a style of music I generally listen to but I’ve heard enough over time to give Cosmic Infusion their due. Promising, hard working band and except for the non-descript, listless core-type passages that are the bane of modern bands, they are one to keep an eye on. I also loved the fact that they turned up on stage adorned in proper corpse paint and black leather. Heavy metal, especially black metal, has as much of the visual, theatrical aspect as the musical, and too many hipsters in this country tend to kid themselves by playing it cool. Heavy metal should be empowering; chaddis and chappals aren’t. Stark Denial were next and they were terrible. A major crash ejection to Planet Reality after Cosmic Infusion. I don’t know what was worse; the sophomoric bhenchod-madarchod chants or the embarrassing cover of Raining Blood done TWICE. Macho posturing on stage is cringeworthy at the best of times but especially inexcusable when you use it to mask bad music. There were no redeemable features to Stark Denial‘s music. I think they call themselves black metal, but that’s a bit of a misnomer for mine. Perhaps they have and will do better on other occasions. Sadly, this wasn’t one of them. I was looking forward to seeing Gutslit. Again, I’m not a huge fan of slam; I strongly believe a breakdown should be used as a means to relieve musical tension and not be the main motif itself of the song. Bands like Defeated Sanity that wrongly get labelled as slam use breakdowns very sparingly which serves to offset the band’s more conventional (not to be read as “old fashioned”) songwriting chops. Gutslit played an extremely busy set of songs in promotion of their upcoming album “Skewered In The Sewer”. They are generally a very fast, squeal-happy band that tosses in a couple of breakdowns per song. I can’t listen to this stuff on record at home for lack of memorability but it can make for fun times in a live setting. It is strongly rhythmic music; the Frank Mullen hand gesturing that the style seems to have adopted is tedious at times, but there are fat grooves over which the more creatively inclined can lay a rap or two. Unfortunately, Gutslit didn’t seem to enjoy the sound they got; the vocals were barely audible at times, and the guitar kept going off also. I wouldn’t mind seeing them again sometime though. They are energetic and get the crowd going. 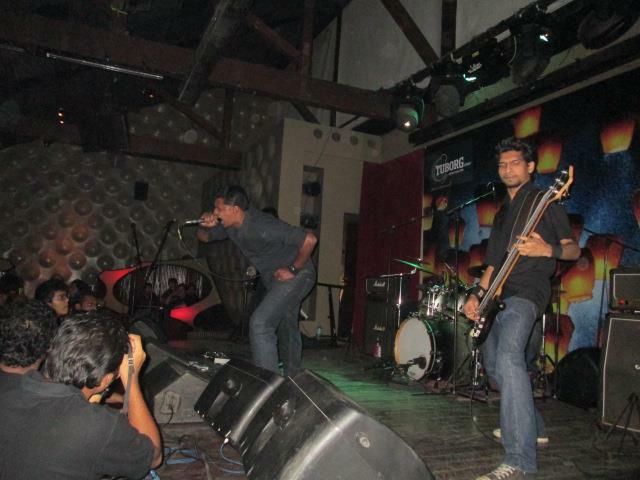 Extreme metal has never been a big thing in Bombay for whatever reason, not the way it now is other parts of the country. I was keen on checking out some new blood in the city; Cosmic Infusion whetted the appetite but the main courses left a bit to be desired.